Gekko's Essays - Begun in 1886, "Gekko's Essays" (Zuihitsu) is a wonderful series encompassing a wide range of subjects. Gekko depicts figures from history and mythology, including famous beauties, poets, scholars, and warriors, along with a few supernatural creatures. These handsome designs are rendered in Gekko's distinctive painterly style, with soft washes of color and flowing calligraphic line work, expertly printed by Matsuki Heikichi to capture these qualities. 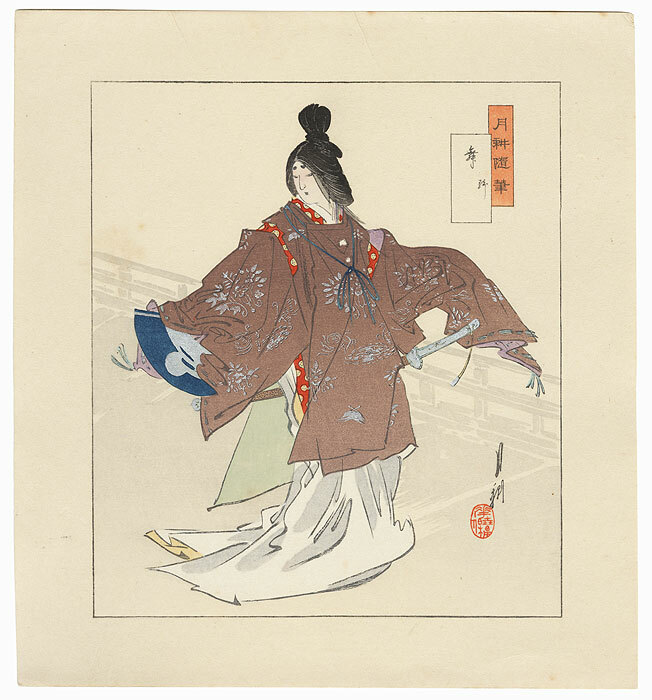 The series was completed by 1887, but woodblocks are found with dates up to 1899, proving the popularity of the designs, which continued to be printed. A great choice to collect or display. 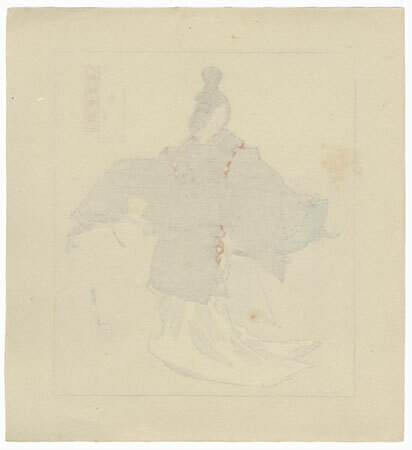 Dancer - Lovely design of a shirabyoshi dancer performing. She moves gracefully, swirling her flowing sleeves through the air as she looks modestly down over her shoulder. 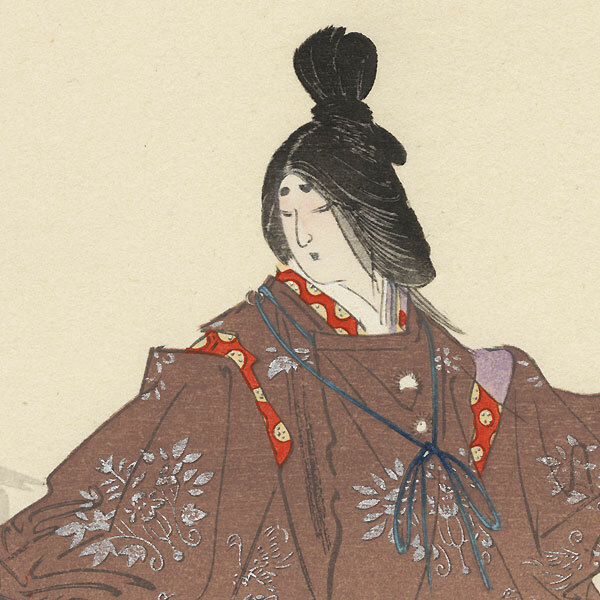 Shirabyoshi dancers traditionally worn men's dress, and her hair is loosely pulled back into a samurai's topknot, and she has a sword tucked at her side. A charming image with beautiful silver mica detail on the brown tunic and allover cloth embossing in the background. An unusual smaller, square format version of the original full-oban sized design. Condition - This print with excellent color and detail as shown. A couple creases at edges, a couple small mark. Please see photos for details. Good overall.